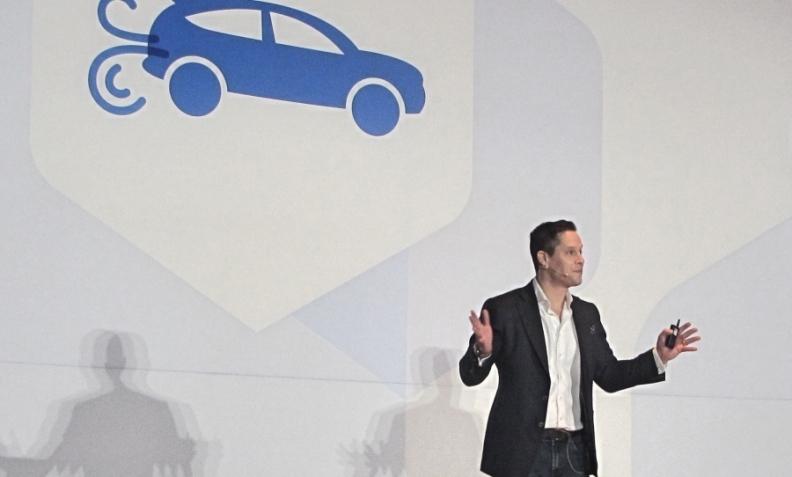 Josh Bloom will lead Facebook's automotive team, announced at the Facebook Canada Summit in Toronto on Wednesday. Toronto, Ontario — Facebook Canada has established an automotive practice, comprised of seven people dedicated to helping automakers and dealers build their brands and increase sales through use of the social networking site. Josh Bloom will lead the team, announced at the Facebook Canada Summit in Toronto on Wednesday. Previously, Facebook’s Canadian automotive resources consisted of one client partner, who called on all the OEMs operating in Canada. The new team will be split up to focus on two different areas: OEMs and their agency partners and dealerships and their agencies. “My goal over the next years, is to show that every dollar they spend with us on mobile will be more meaningful than anything else they spend at the dealership, no matter where customers are in the shopping funnel,” Bloom said. The social media giant said dealers need to learn more about their customers and create content tailored to their preferences. Facebook suggests customized educational content, such as car-buying tips, guides and how-to tutorials. Dealers might also consider reassuring younger shoppers they’re making the right choice by citing third-party reviews and encouraging pressure-free test drives. Facebook made the suggestions after conducting a case study about how Canadian shoppers use mobile technology in the purchase process. Facebook IQ analyzed Facebook data and commissioned Ispos to survey 1,500 people in Canada who planned to purchase or lease a vehicle in the next year. The survey suggested that mobile platforms are used more and more by car shoppers. It also suggested mobile use increases as buyers near the end of the shopping experience. About 68 per cent of auto shoppers who are six months or more away from making a purchase decision conduct research on a mobile device, and the number jumps to 81 per cent for auto shoppers who are one to two months away. Vehicle shoppers also tend to use mobile devices exclusively for research as they near transaction time. Even with all this mobile use, Bloom noted the study showed lots of shoppers, particularly the younger ones, feel they are not getting enough information about their purchase, and fear their lack of buying expertise will hurt them. Bloom sees this as a great opportunity for dealers and OEMS, to help them out, and connect with them more, through the development and use of more mobile-based tools and solutions during the purchase process. Facebook has supported the U.S auto market in a substantial way for years, holding its first "summits" in Detroit and Los Angeles for executives from Team Detroit, Carat, GM, Ford and Toyota back in 2013. Bloom said Facebook owns up to the fact that Canadian auto was “under resourced,” but says there is a traditional lag that Canadian markets have for any innovation when compared to the United States.